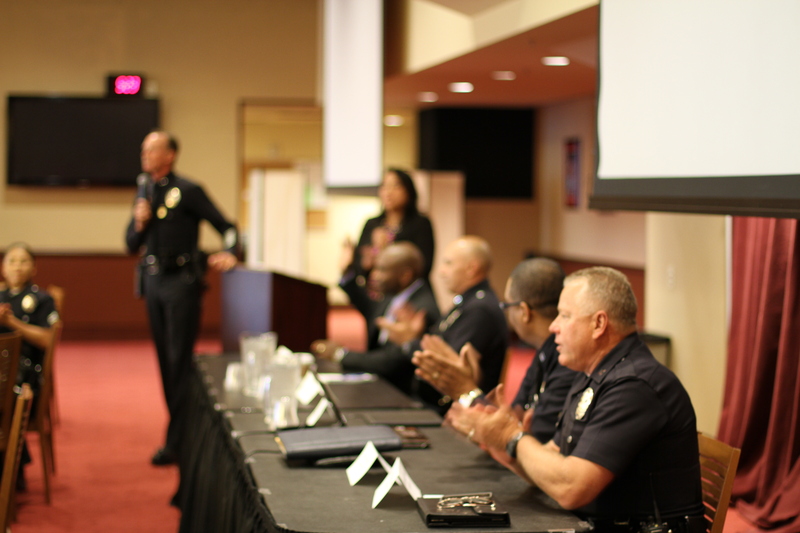 Through the lead­er­ship of Deputy Chief Robert Green, the com­mu­ni­ty and LAPD came togeth­er to dis­cuss the chal­lenges faced by the South Bureau region of LAPD. 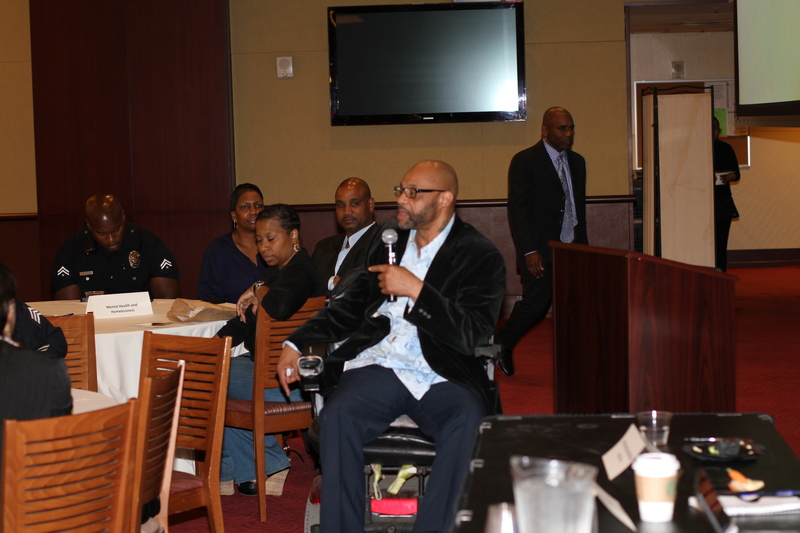 Grace Welt­man, Pres­i­dent of Com­mu­ni­ties in Motion helped mod­er­ate this impor­tant sym­po­sium. 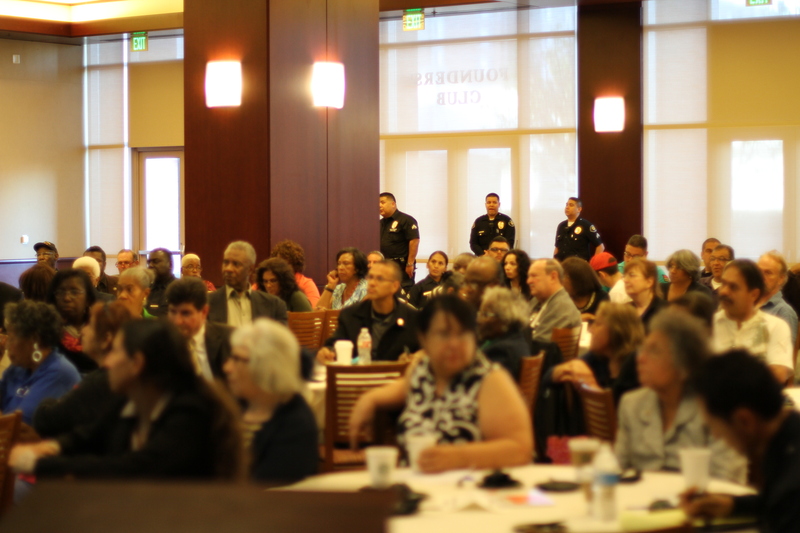 Near­ly 200 com­mu­ni­ty-based orga­ni­za­tions, Com­mu­ni­ty Police Advi­so­ry Board mem­bers (CPAB), com­mu­ni­ty stake­hold­ers, and LAPD Com­mand staff and offi­cers par­tic­i­pat­ed in the sym­po­sium. 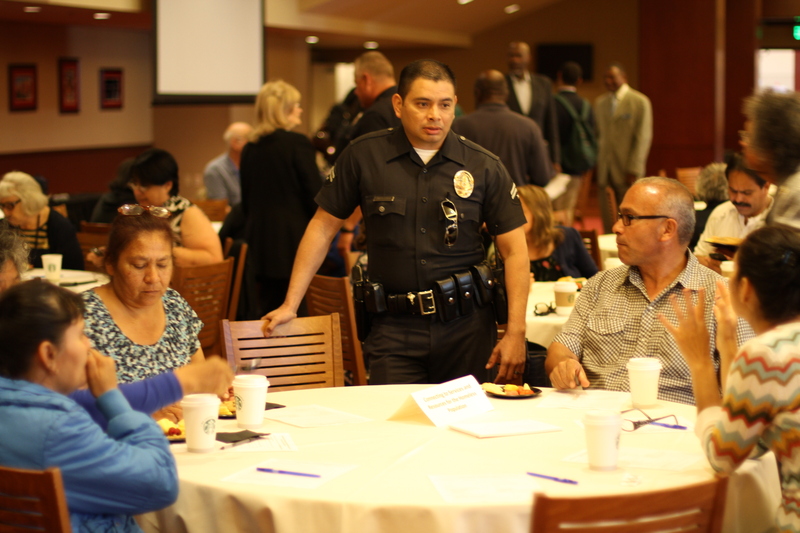 The issue of home­less­ness was raised and dis­cus­sions, moti­vat­ing par­tic­i­pants to work togeth­er to address home­less­ness in South Los Ange­les, deep­en­ing the part­ner­ship between LAPD and the com­mu­ni­ty. 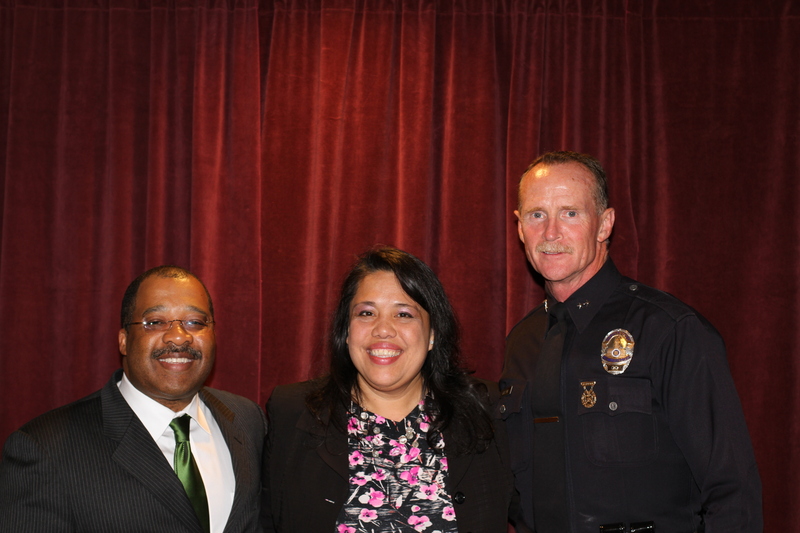 Attached is the pre­sen­ta­tion of home­less data spe­cif­ic to the LAPD South Bureau region which was com­piled based on the 2013 Los Ange­les Home­less Ser­vices Author­i­ty Po Int in Time Count..
LAPD South Bureau Com­mand Staff, and USC Pub­lic Safe­ty with South Bureau Chief Bob Green lead­ing the sym­po­sium.